The Ferran Sunyer i Balaguer Foundation presents the exhibition dedicated to one of Catalonia’s most important mathematicians. The Ferran Sunyer i Balaguer Foundation, attached to the Institute of Catalan Studies, presents the exhibition “The Fighting Spirit of a Mathematician. Ferran Sunyer i Balaguer (1912-1967)” at the Palau Robert. 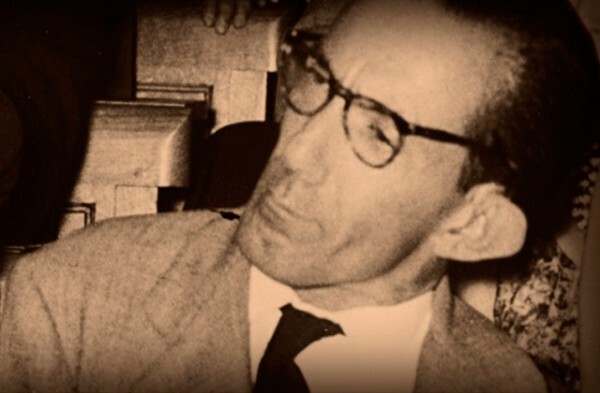 The show illustrates the life and work of one of Catalonia’s most important mathematicians, a self-taught scientist who specialised in mathematics despite having cerebral palsy. Conceived by Benecé Produccions, the exhibition highlights the scientific legacy of the Figueres-born mathematician Ferran Sunyer i Balaguer, a little-known genius who achieved worldwide recognition at a time when the Spanish scientific community worked with scant resources and in isolation from international movements. Ferran Sunyer remained highly active throughout his life, despite his physical disability, which confined him to a wheelchair and meant that he could neither eat nor write for himself. However, he received constant support from his family, who did everything in their power to enable him to devote his life to research. The mathematician was completely dependent on his mother (his father died when he was two) and, later, his two cousins, Maria and Maria dels Àngels Carbona, who took care of him. An autodidact, Ferran Sunyer first became interest in mathematics and physics by reading the books of his cousin, Ferran Carbona, who was studying chemical engineering. He published more than 40 research articles and short monographic papers, mainly in Spanish, French and North American journals. He worked for the Spanish National Research Council as a contributor and researcher and signed a research contract with the Office of Naval Research, attached to the United States Department of the Navy. The exhibition, which is structured around five sections, features documents, objects and images illustrating Ferran Sunyer’s life and work.